Your operating system has just crashed? And do you want all your files, pictures, and music as soon as possible? Or you need help setting up your new PC and transferring files from your old one? Nothing can be more horror than that, just imagine if you are not able to access that data. We are here to help you resolve all your data recovery problems! Quick Fix Technologies have been in business since 2008 and have faced many such problems where people have lost their complete data due to device fail but we have successfully recovered all their data without losing a single file. Be it corporate or home we have helped all in getting back what is theirs, we have done data recovery, deleted file recovery and data transfer from one to another. Whatever your case we have a solution. Common ways to lose your data? Files deleted – After all, we are human, we by mistake delete the files that are very important and later regret that it would not be possible to recover it. Virus and malware – If you are connected to internet world it gives you lots of option to explore but also has high level of risk to expose your laptop to virus and malware that can affect your laptop or device eventually deleting important files. All the above problems are unavoidable whatever precautions are taken these things can take place. The best you can do is to take the backup files of data on daily basis, but if you are busy and do not have time for that just leave that to professionals who will take backup of your data on daily basis and you do not have to worry about it a bit. We are not limited to data recovery of laptop or desktops we help you in recovering data of digital cameras, SD cards, iPhone/iPads, USB sticks and all such devices. So we are the store which has a solution to everything at one place. We have always upgraded us as per the technology changes and always been one step ahead of competitors. Quick Fix Technologies New York provide all kind of data recovery or data transfer solutions. You may wonder why I should choose this guy’s there are lots of other repair shops who provide this service. Well here are few reasons to choose us over others. Quick Fix Technologies is conveniently located at 347 Fifth Avenue ste. 310 (between 33rd and 34st. st), right across from the Empire State Building. 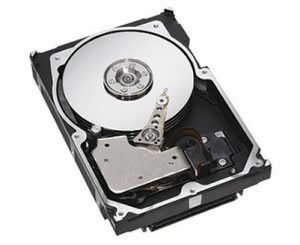 For fast data recovery in NYC, call 212-810-6432 or stop by today. We’ll be happy to repair your device fast so you can get back to normal in a flash.